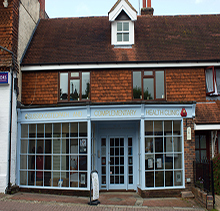 With the Osteopaths Act 1993, Osteopathy became the first of the then complementary medical professions to achieve statutory self-regulation. It now has one regulatory body, the General Osteopathic Council, and is one of the nine UK bodies which regulates healthcare professionals. The GOsC's remit is to provide for the regulation of the profession of Osteopathy, including the registration, professional education, development and conduct. Underpinning the remit is the responsibility of the GOsC to prevent, promote and maintain the health and safety of the public and patients. It is criminal offence for practitioners to use the "Osteopath" or attempt to pass off as one unless listed. Only these practitioners who satisfy the criteria set out in the Standard of Proficiency are admitted to the register. There are approximately 55% men and 45% women osteopaths.